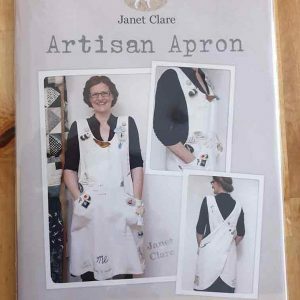 Adult's crossover apron by Janet Clare. Comfortable, customisable and fully lined. 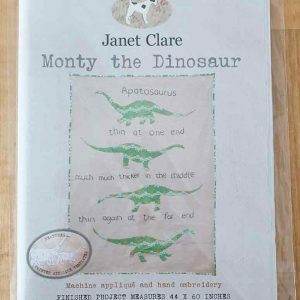 Designed to be personalised with your own embellishments. Sizes S - 4XL. 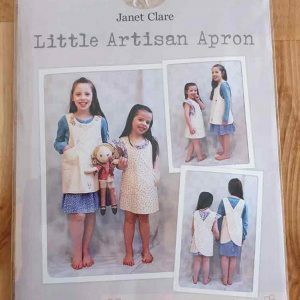 Child's crossover apron pattern by Janet Clare. Comfortable, customisable and fully lined. Personalise this apron with your own embellishments. Ages 6 months to 11 years. 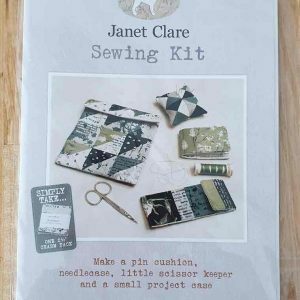 A charming little sewing kit by Janet Clare. Designed for a single 2 1/2" mini charm pack, this would make a lovely gift for any keen sewist. Full pattern information on back of packet. 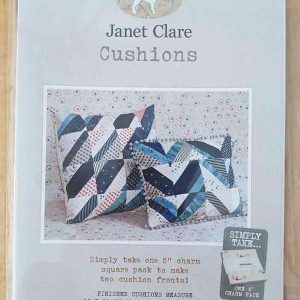 Quilted cushion cover designs by Janet Clare. Uses one 5" charm pack to make two cushion fronts. Full pattern information on back of packet. 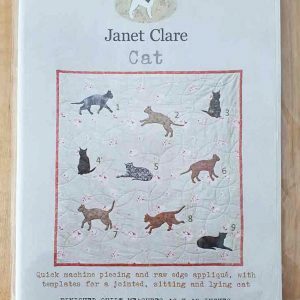 Very cute Janet Clare quilt design featuring quick machine piecing and raw-edge applique, with templates for a jointed, sitting and lying cat. 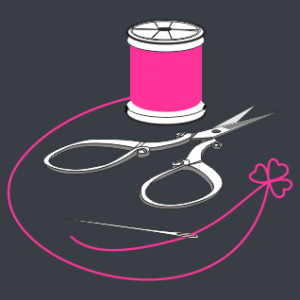 Patten is suitable for most types of applique. Full pattern information on back of packet. 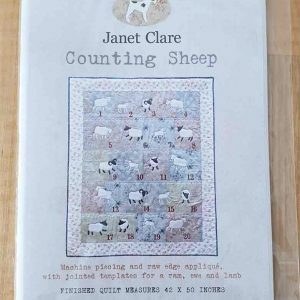 Charming Janet Clare Quilt pattern featuring machine piecing and raw-edge applique with jointed templates for a ram, ewe and lamb. Full pattern information on back of packet. One for the equestrians. 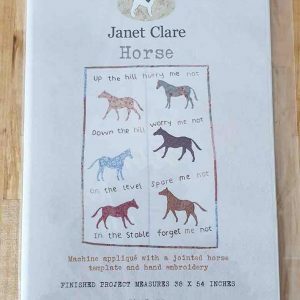 This lovely Janet Clare quilt design features machine applique with a jointed horse template and hand embroidery. Full pattern infomarion on back of packet. What child wouldn't love this dinosaur? Charming Janet Clare quilt pattern featuring machine applique and hand embroidery. Suitable for most types of applique. Full pattern information on back of packet. 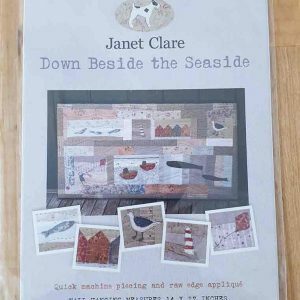 Lovely seaside-themed Janet Clare wall hanging design with applique. A great way to use up your scraps. Full pattern information on back of packet.